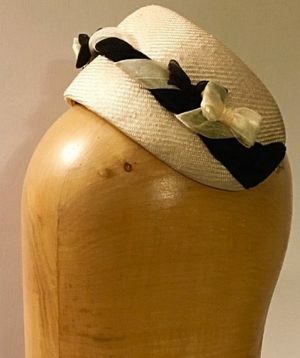 This is a gorgeous 50’s style full hat. 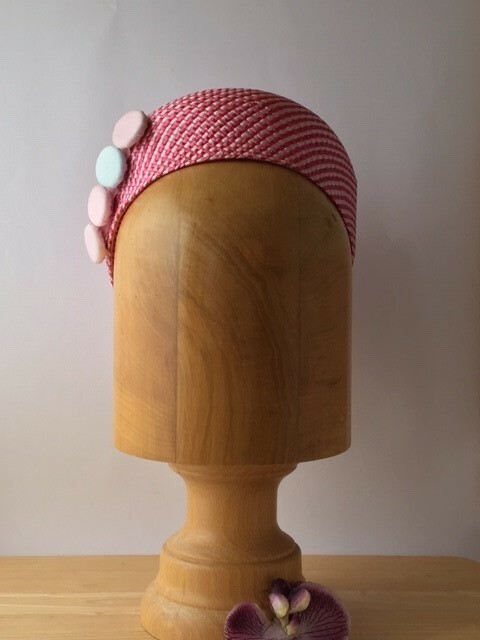 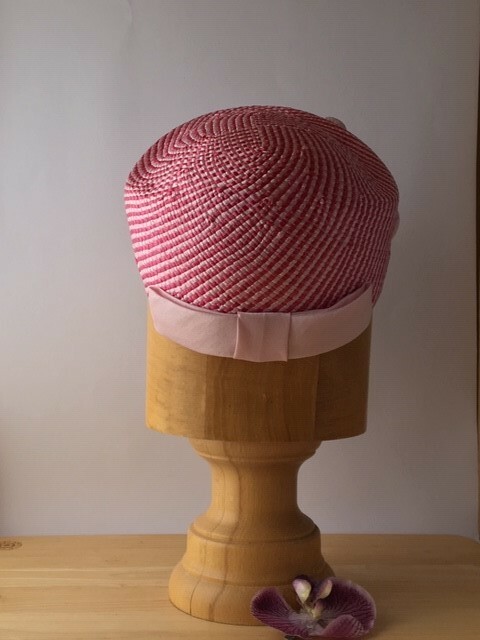 The hat is a lovely colour of berry and pale pink set in a candy cane pattern and is made out of Visca, a japanese wood pulp, having a wider weave than straw. 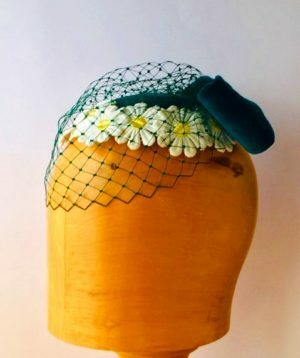 The material has been stiffened and blocked on a vintage 50’s block, and further stiffened with a wire rim sewn into the rim edge. 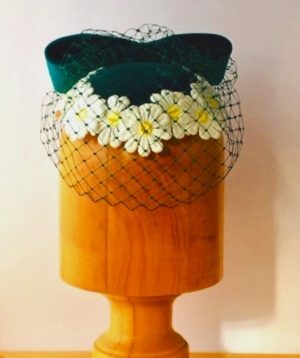 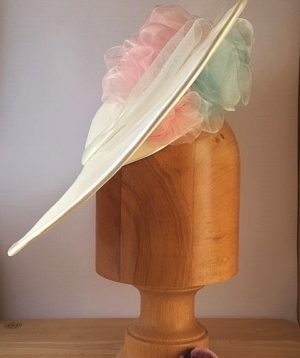 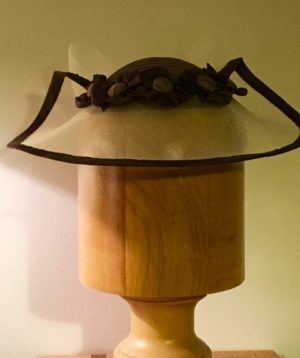 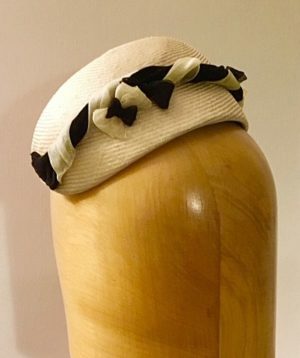 The hat comes unlined and is adorned with hand made sateen covered buttons. 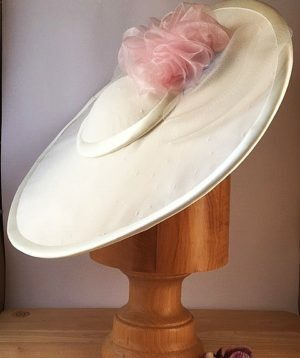 A pale pink sateen ribbon has been placed at the rear for interest. 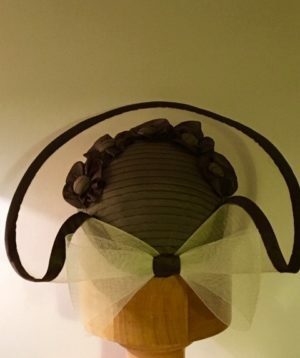 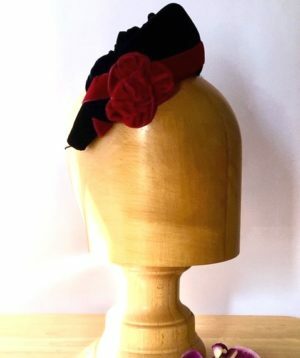 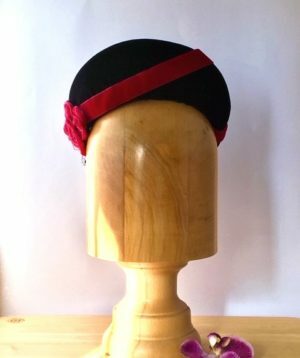 This hat is classed as a full hat and will sit well on head small/medium head size but is designed to perch on the back of the head as shown in photograph.